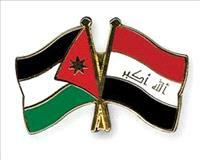 AMMONNEWS - Jordan and Iraq plan to increase cooperation in the transport field, including through twinning Aqaba and Basra ports. During a meeting between Aqaba Special Economic Zone Authority Chief Commissioner Nasser Shraideh and Iraqi Transport Minister Kadhim Al Hammami, both sides discussed twinning Jordanian and Iraqi ports and opening an air freight route between Aqaba’s King Hussein International Airport and Iraqi airports. Hammami and Shraideh also went over means to conduct a feasibility study on the Asian railway network and improve truck shipping to reach Egypt, the Jordan News Agency, Petra, reported. Shraideh highlighted the importance of using Aqaba as a gateway for Iraqi goods to enhance economic integration through utilising the Tureibil border crossing and launching regular air freight routes between Aqaba and each of Baghdad, Sulaymaniyah and Basra to boost Iraqi tourism to Aqaba. The Cabinet in February approved the framework agreement for the Basra-Aqaba oil pipeline that will be signed between the Ministry of Energy and the Iraqi Oil Ministry. The project aims to export Iraqi oil with the pipeline passing through Jordan while supplying the Kingdom with some of its oil needs. The oil pipeline is expected to provide the Kingdom with some 150,000 barrels of crude oil a day.